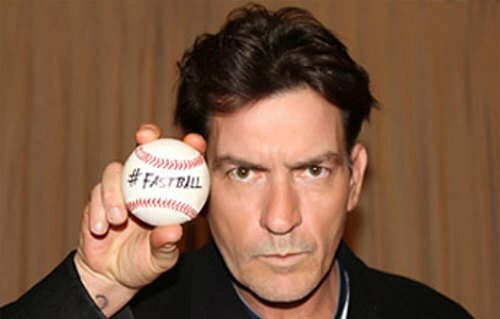 Charlie Sheen LIVE: My Violent Torpedo of Truth coming to American Airlines Center in Dallas, TX on April 27. I know most of you are probably sick of hearing about Charlie Sheen. The media has bombarded us with almost around the clock news coverage of his every move. Even his tweets are getting coverage in news sites like CNN and it’s just like Charlie to take full advantage of this coverage. Love him or hate him, Charlie seems to be riding this gravy train till it crashes. Some people say he has gone off the deep end or is just constantly whacked out of his mind on crack. While some of this might be true, I believe he is still thinking somewhat clearly. I mean look at this tour he is putting on. It is marketing genius! The public doesn’t even know what the show is about, yet tickets are selling like hot cakes. There are those that will say he is just surrounded by smart business people, but that doesn’t mean Charlie would go along with it. I think he is thinking clearly enough he can see the benefit of riding out this craziness he has started. Charlie first announced his one man tour in two cities. This of course sold out quickly and even appeared to break a Ticket Master record. Then he slowly started adding city after city. This was a great way to build up the tour. They made it seem really limited to get the initial sales and publicity, but then opened it up so they could maximize their potential profits. All this took place before the opening stop. This was also a smart idea so that people wouldn’t get the reviews of the first show and figure out what it is really about. Plus all the craziness of his interviews and posts just seem to keep the frenzy of fans going. For Charlie’s sake I hope that this isn’t just a big flame out of being totally insane or hopped up on drugs. I would like to think that there is a cleverness in all his crazy actions. I know odds are he is just a psycho druggie, but I have hope that he is not. I would really like to think that someone can be this outside the box and this openly opinionated and not have something wrong with him. I think it is mainly because I’m tired of all the nice politically correct BS that almost everyone does just to keep a “clean” image. I’m not sure if his show will be any good or not, but I believe it has a great chance at being highly entertaining. I for one bought a couple of tickets to go see the show and watch the Warrior in action. Hopefully he doesn’t disappoint!